37 years, 10 months, 20 days old age. Ajaz Khan will turn 38 on 29 May, 2019. Only 1 months, 10 days, 4 hours, 11 minutes has left for his next birthday. 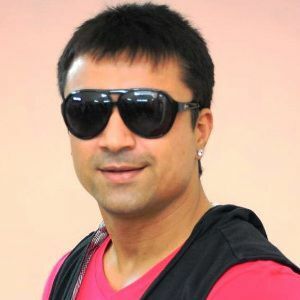 Ajaz Khan has celebrated the total number of 37 birthdays till date. See the analysis by days count and bar graph. Ajaz Khan was born in 29-05-1981 on Ahmedabad, Gujarat in India. He is a very famous celebrity in India. He is an Actor, Model, Film Producer and a Radio Jockey. He has done Films in Hindi and Telugu language. Ajaz Khan is a complete entertainer and always had it in him to bring that one screen one day. His career began with modeling and he even did a few Ad Films in the beginning of his professional career. He did many TV Soaps as well, “Rahe Tera Aashirwaad”, “Kahaani Hamaaray Mahaabhaarat Ki” to name a few. Ajaz gained huge popularity and fan base after his appearance in the seventh season of the famous reality show “Bigg Boss 7” in 2013 where he was the second runner up. Later he even appeared on another famous TV shows like “Comedy Nights with Kapil”, “Comedy Nights Bachao”, “Comedy Classes” and much more. Talented Ajaz even forayed into Films. He made his Hindi movie debut in 2009 with the movie “Ek… The Power of One”. Ajaz tried his luck in the South Indian Telugu Film Industry as well. His debut movie was 2011’s “Naayak”. Since then he has appeared in many Telugu language movies. Ajaz Khan was born to Moh Shafi. He is married to Andrea Khan and together has a son named Alexander Khan.